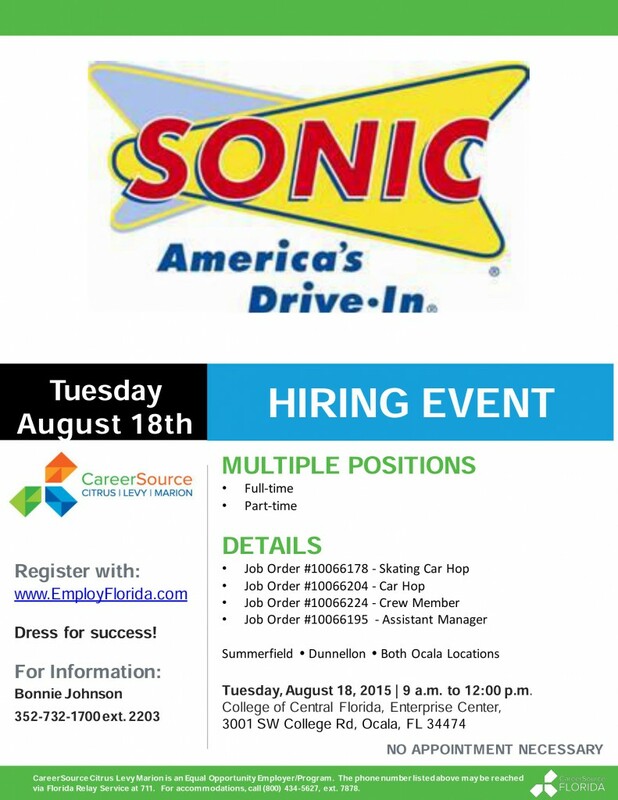 I’ve received the following announcements from CareerSource for Citrus / Levy / Marion counties of upcoming hiring events and job fairs in Ocala / Marion County and surrounding areas. See the individual announcements for full details and contact information. 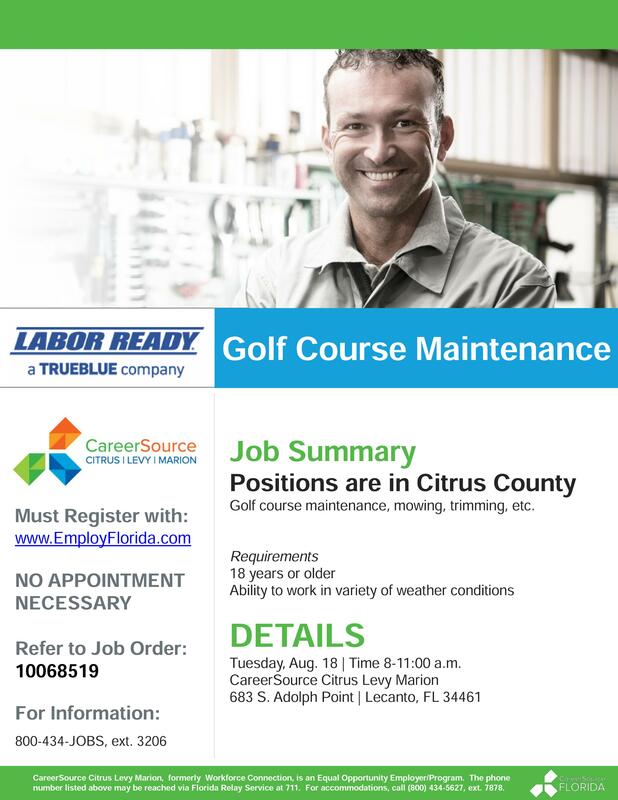 Labor Ready, Golf Course Maintenance positions in Citrus County, Florida – Tuesday, August 18, 2015, 8 – 11 a.m.
ResourceMFG Production Associate positions in Ocala, FL, Tuesday, August 18, 2015, 10 a.m. – Noon. 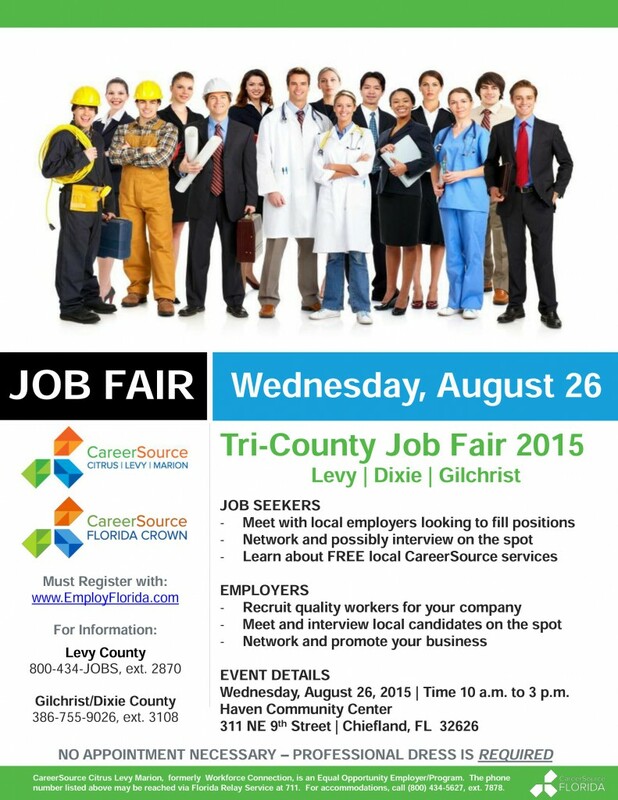 Tri County Job Fair 2015, Chiefland, FL, Wednesday, August 26, 2015, 10 a.m. to 3 p.m.
Labor Ready Hiring Event, Golf Course Maintenance positions in Citrus County, Florida – Tuesday, August 18, 2015, 8 – 11 a.m. 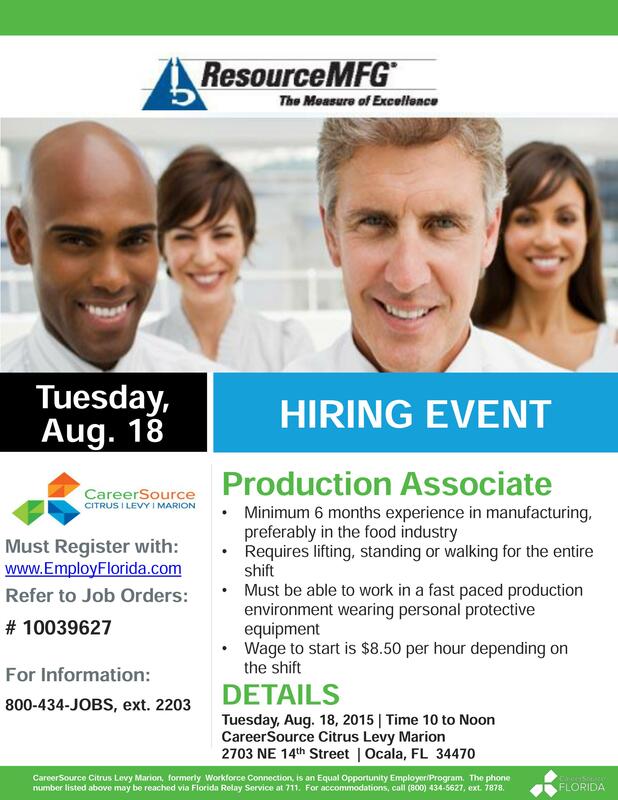 Hiring Event, ResourceMFG Production Associate positions in Ocala, FL, Tuesday, August 18, 2015, 10 a.m. – Noon. 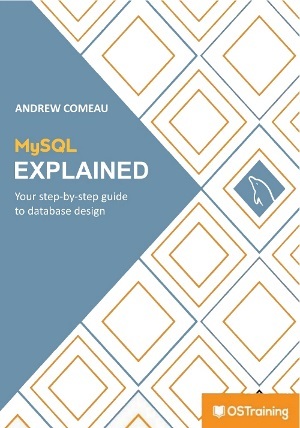 This entry was posted in Careers and tagged jobs on August 14, 2015 by Andrew Comeau.